Quirky characters who ramble about anything and everything? Ultra violence and a non-linear structure? It’s signatures like these that make Quentin Tarantino’s movies stand out from the pack. Love them or hate them, you can’t deny that they’re unique. After a few decades of success, Tarantino has shared plenty of cool tips about how he handles his work. His approach offers valuable insights we can use in our own businesses as we face the pressure to deliver creative work. It might not always feel like it, but you do creative work every day. That’s exactly what it takes to make it as a freelancer or run a successful business. Unfortunately, no one handed you a blueprint to nurture your creativity to its fullest potential. You can take classes to learn math, accounting, and other business skills. But figuring out how to get more ideas, develop better products, and innovate? You have to learn that stuff all on your own. That’s one of the trickiest things about creativity: it’s messy. But if you can figure out how to unleash your natural gifts to the world, you’ll make a huge mark and separate your business from all the others. Because creativity is messy but critical for success, any way we can dissect it and make it easier to apply in our lives is a big win. That’s where studying creative successes like Quentin Tarantino comes in. While he’s in a different industry than most of us, he faces the same pressures as the typical entrepreneur. Tarantino is just as preoccupied with new ideas, constantly improving, and resonating with audiences as you and I are. How Tarantino has navigated these creative challenges – and not just navigated them, but overcome them with massive success – offers some key takeaway and apply in our own businesses. No, he didn’t leave us a detailed handbook; those just don’t exist. But we can still use his approach as a model to reconsider how we do our own creative work. If you want to make a movie, make it. Don’t wait for a grant, don’t wait for the perfect circumstances, just make it. Quentin Tarantino burst onto the Hollywood scene with Reservoir Dogs. This film, made on a budget of just $1.2 million, provided a breath of fresh air into the stale, predictable Hollywood blockbuster formula. Here was a film so original, so irreverent of the “rules” of how a film should be made, that surely the director was a genius who’d been to film school, right? Tarantino made Reservoir Dogs while he was just 29 years old, still working as a video store clerk. He had no formal training, qualifications, or industry connections to speak of. He was just a guy who loved movies – and wanted to make one of his own. There are always plenty of reasons why we shouldn’t do creative work. Writing, shooting that video, or producing that podcast is difficult. It puts our ego on the line. It’s easy to tell ourselves that if we just had one more thing – that degree, those resources, that book – then we could get started no problem. Most reasons we give ourselves to put off creative work are just excuses in disguise. But if, instead of waiting for perfect circumstances, we dove in like Tarantino did, we’d build valuable experience and refine our process. Bottom line: the best way to do better creative work is to create. Getting started takes less than we think. Formal education or a degree can help in some cases, but they’re no replacements for firsthand experience and a willingness to get your hands dirty. If you run the 100-yard dash with people that can’t run as fast as you, yeah, you’ll win hands down. You know that. But if you run with people much faster than you, yeah, you might come in last every single time, but your time will be better. 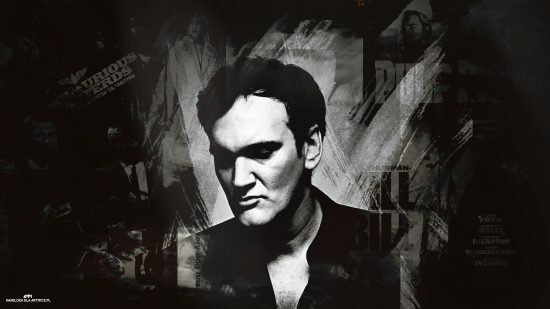 Today, Quentin Tarantino hangs out with the top directors, actors, and producers in Hollywood. His connections run deep. He’s a phone call away from reaching anyone in film he’d want to talk to. But things weren’t always that way. When these Hollywood hotshots were out of reach, Tarantino surrounded himself with the masters in the only way they could. He devoured their movies, dissecting them to figure out how they worked. These mentors “ran faster than him” at the time, but they inspired him to take his film-making skills to the next level. Creatively, we are the products of our environment. If we’re reading gossip websites, mindlessly scrolling through social media feeds, and crashing out on the couch, it’s easy for our our ideas to run dry. Our creative work gets bland and strained. Surrounding yourself with creative people who inspire you, whether they’re in your industry or not, will give you a new perspective and drive your business to new heights. If it’s hard to surround yourself with creative people in-person, you can find inspiration through books, music, films, and experiences like going to art museums or the theater. I don’t believe in elitism. I don’t think the audience is this dumb person lower than me. I am the audience. Watch any movie for about two minutes. That’s all it takes to know if it’s one of Quentin Tarantino’s works. Love him or hate him, it’s impossible to ignore the fingerprints he leaves all over everything he touches. Tarantino’s voice is so strong because it’s authentic. 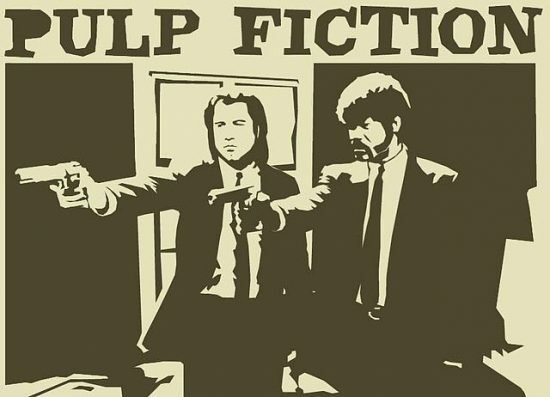 Instead of making typical Hollywood blockbusters, which he easily could have done after Pulp Fiction’s massive commercial success, he starts every new project with the same premise. He makes films he would pay to see, then he invites the audience along for the ride. It’s this commitment to his own vision that makes Tarantino films so unique. Some of the most successful businesses are born from similar thinking. A normal person, struggling with a problem and wishing life was a little easier, takes it upon themselves to come up with a solution. Their passion shines through in every aspect of their business because they care about their product or service on a deep, personal level. That’s not to say you should blindly follow your muse without any regard whether there’s an audience. A new and improved underwater basket weaving course, for instance, isn’t going to sell no matter how important it is to you. But if you can work in the overlap between personal obsessions and a paying audience, you’ll find the energy and dedication to do your best creative work. A lot of people have this idea that “creating” means coming up with something completely original. That’s a misconception. Being creative is all about allowing yourself to be influenced, then combining all of these influences and rearranging them in unique ways. Tarantino movies look completely original on the surface. But when you examine them deeper, you can see how he draws on things he’s watched, read, and experienced – samurai flicks, crime novels, spaghetti westerns, all kinds of crazy stuff – and reuses different pieces to come up with something unique. One Tarantino film, Jackie Brown, is basically the film adaptation of Elmore Leonard’s novel Rum Punch. Because Tarantino doesn’t put unreasonable pressure on himself to be “completely original,” he frees himself up to play with the conventions and put on his own unique spin. You can do the same. Instead of trying to construct every aspect of your business from scratch, you could model different elements from businesses you admire and combine them in new ways. This goes for marketing, product development, customer service, and more – every element of how you handle your business. Never stop learning. 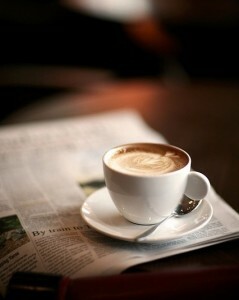 Open yourself up to all kinds of experiences and information sources. Your newest idea for a killer product might just be sitting right under your nose! Quentin Tarantino’s rise to fame seems easy looking back on it. Make an original move, have everyone in Hollywood fall in love with it, buy a mansion. Simple, right? Not exactly. Tarantino started without the benefit of Hollywood parents, industry connections, or formal film school training. But he didn’t let that stop him from becoming a modern-day master. How dare you send me this f****** piece of s***. You must be out of your f****** mind. You want to know how I feel about it? Here’s your f****** piece of s*** back. F*** you. Despite those tough times, Tarantino just kept pressing forward. And not just that: he also decided to use his struggles to fuel his creative work. This philosophy, which reminds me of Stoicism, helped him turn bad situations into advantages. Most people do everything they can do avoid challenging, stressful situations. When they inevitably show up anyway, they just grit their teeth and bear it until the situation is over. They’re so focused on just “getting through this” that they miss out on new insights and cool ways to improve their business. What if you used your struggles to do even better creative work? That time a client stiffed you for payment sucked, but it could inspire how to handle your invoicing procedure going forward. Maybe you even come up with an idea for invoicing software. A customer service disaster could reveal a pain point you hadn’t seen before. Pinpointing it and addressing it could become your unique selling proposition which separates you from competitors. One thing in running a business is guaranteed: it’ll hurt sometimes. But how you choose to handle those bruises and hard times is completely up to you! 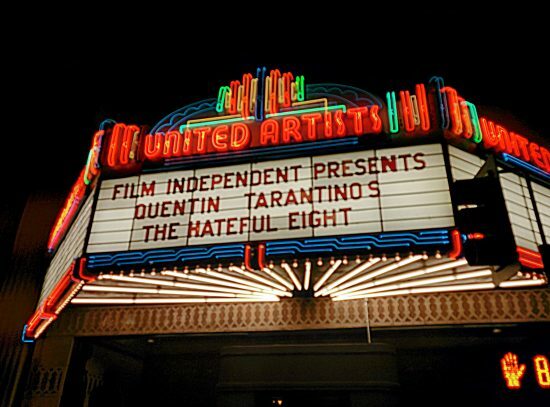 Love them or hate them, there’s no denying that Quentin Tarantino movies have made a mark. His deep commitment to his craft, willingness to keep going even when things were tough, and confidence in his own vision are just a few things that separate him as a unique icon in film. 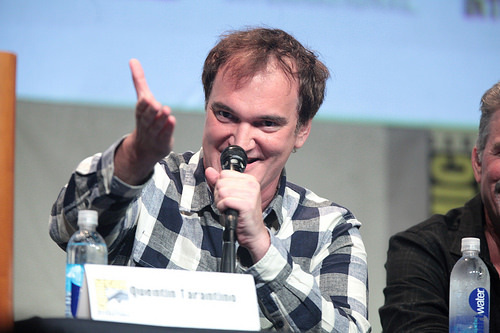 You can borrow from Tarantino’s approach to take your creative work to the next level. It’s this creativity that will distinguish you from competitors and make a deep impression on the people who matter the most: your customers. Do you study how different creative types produce so much high-quality work? If so, whom do you study and how has their process made its way into your business? Leave a comment below and share your experience! Next 2016 Mid-Year Checkup: Are You Avoiding These Mistakes?